The Paul & Joe Fairytale collection for autumn has just debuted on BeautyHabit.com. 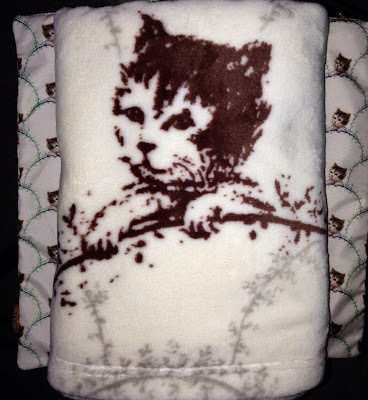 Use the code COZYPJ (valid until 15 August) with purchase of $100 for this adorable kitten blanket measuring 44” x 26” or the code LOVEPJ for free ground shipping on orders with any in-stock Paul & Joe item. B-Glowing.com is offering a kitten pouch with $50 purchase, just use the code KITTY13. Below is a video tutorial from B-Glowing.